Free-to-play games aren’t exactly new to consoles, but we’ve never seen them in the number and variety that’s being made available in this new generation, especially on the PlayStation 4. Here’s a look at our five most anticipated free-to-play games for Sony’s home console. As Polygon reported this summer, Sony has announced that upwards of 25 free-to-play games are heading to PlayStation consoles, primarily setting up shop on the PlayStation 4. Xbox One seems to finally be getting in on this free-to-play jam, too, with Warframe releasing for the console earlier this week. They’re taking a bit more time to come around, however, so there isn’t a lot of news on what players can expect on the F2P front from Microsoft’s camp. It’s a different story for Sony, with free-to-play getting an unexpected (yet totally welcome) push on the PlayStation 4 similar to that of the previous year’s mad indie rush. There are loads of F2P games on the way, from shooters and adventure games to MMOs and strategy. Here’s a rundown of the five gratis games we’re most excited to dive into. This one has been a long time coming for the PlayStation 4, originally rumored to be aiming for a launch window release on the new console. One of the folks running the Planetside 2 demo at E3 this year told me that the developer is aiming for a launch sometime in 2014, but that’s all he would say on the matter. For the uninitiated, Planetside 2 is a big, meaty first-person shooter where the war never ends and the enemies are plentiful. 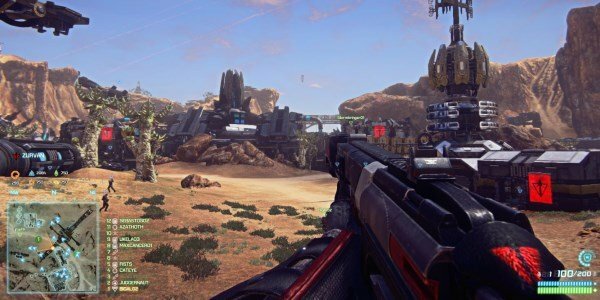 It’s all about region control in Planetside 2, and players are given all of the firepower they could ever need to pull of their objectives on the ground, rolling on tires or flying in the air. 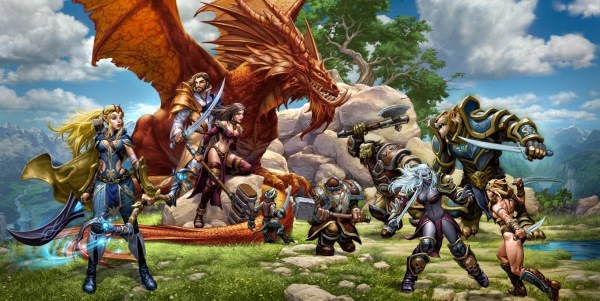 And did we mention that a single in-game continent can support upwards of 2,000 combatants? Yeah, it’s a pretty big shooter. There’s no telling when EverQuest Next will finally launch on the PlayStation 4 but, since the game has been in development for around four years, chances are pretty good that the developers have made some decent progress at this point. A true MMORPG experience for the PS4, players will do away with a leveling system, instead altering their character’s abilities through highly specialized gear, weapons, classes and skill trees. You’ll be able to explore a massive world, battle countless enemies, loot loads of dungeons and quest to your heart’s content. Hopefully the folks at Sony Online Entertainment have taken a few notes from the folks at Turbine. Games like Lord of the Rings Online have proven that free-to-play MMORPGs can be robust, rewarding and even profitable when structured properly. With any luck, EverQuest Next let players enjoy a similar experience with a controller in hand. Capcom’s free-to-play dungeon explorer turned quite a few heads when it was first shown off in 2013 and, according to recent news coming from the publisher, it looks like Deep Down is creeping closer and closer to a beta launch sometime in 2014. Looking like a cross between Dark Souls and Diablo, players will be able to jump into randomly generated dungeons in order to grab better gear, stab dragons in the face and hopefully survive long enough to find an exit. It’s an intriguing title in its own right, made all the more interesting by the fact that it will be distributed on a free-to-play model for the PlayStation 4. Let’s face it: H1Z1 looks a heck of a lot like a bunch of other first-person zombie survival games, and that’s absolutely not a bad thing. Also being developed by Sony Online Entertainment, players will be dropped into a post-apocalyptic world where the dead have risen from their graves with a mad hunger for human flesh. You’ll form and break alliances, scavenge for gear and do your best to survive for as long as possible in a savage world where death waits around every corner. The PC version of H1Z1 is coming along nicely with plans to bring the PS4 version to the masses shortly after the lead platform launches. 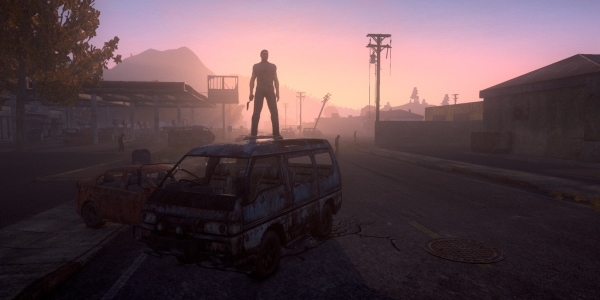 In other words, we could be playing H1Z1 on home consoles sooner than you might think. I realize that this one is something of a dark horse, especially with other free-to-play titles like Kingdom Under Fire II and Loadout not making the list, but that’s mostly because I’ve actually had some hands on time with Guns Up and absolutely loved it. No joke, it was one of my favorite games of the 2014 E3 conference, free-to-play or otherwise. The best way to think of Guns Up is as a reverse tower defense game. You’ll spend resources on various troop types and, as they march onto the field of battle, you’ll direct their assault against all manner of enemy troops and structures. Along the way, you’ll earn additional resources to spend on extra troops and player-controlled special abilities, like laying down a landmine in front of a group of enemies or calling in a set of paratroopers to attack them from behind. It’s fun and frantic and it looks like it’s be arriving on the PlayStation 4 sometime in 2014.